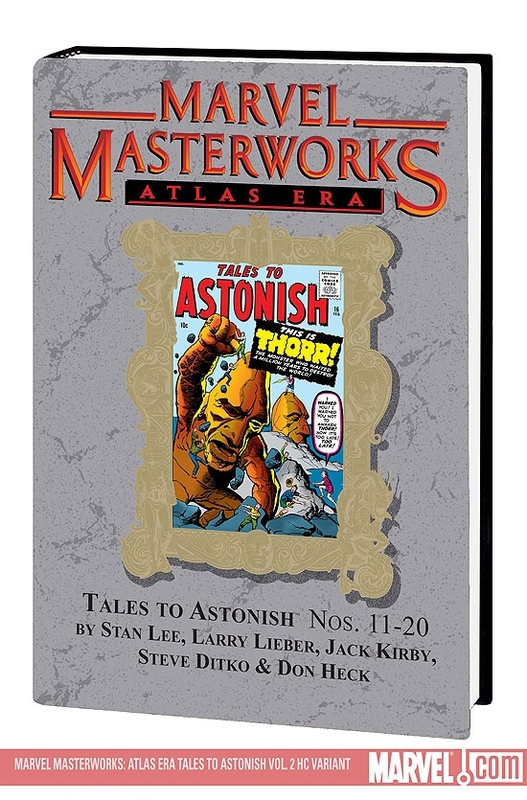 Ready your fallout shelter, check your 4th-dimensional passport, and get ready for a trip into the wild and wooly days of the Atlas Era! 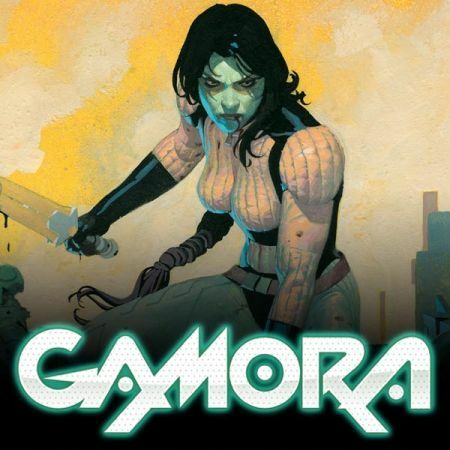 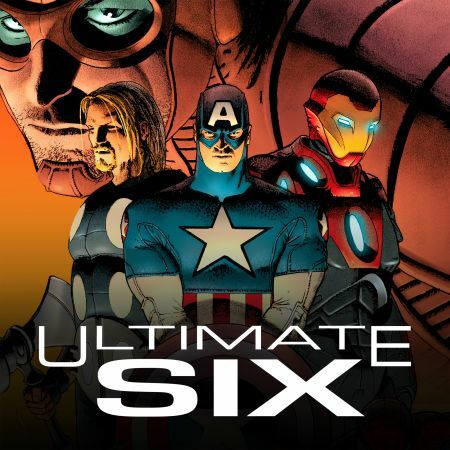 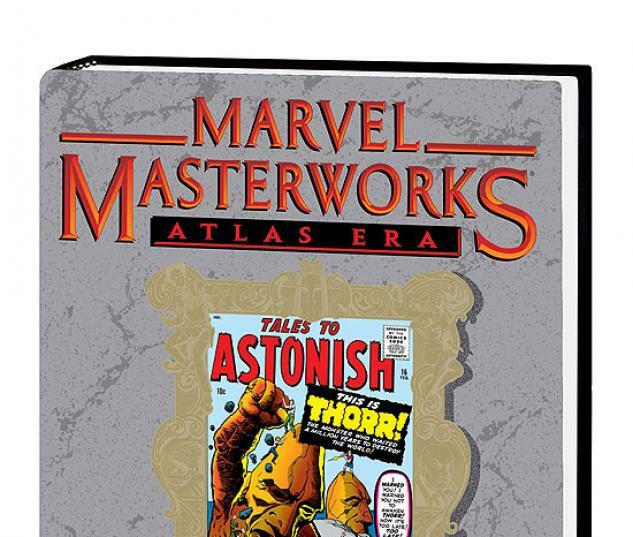 The Marvel Masterworks have prepared another heaping helping of towering terrors that eat atom bombs for breakfast and psychological mind-benders of scintillating suspense. 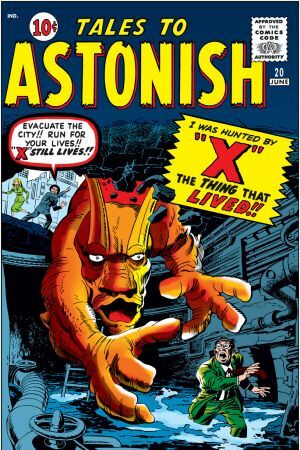 Led by Jack "The King" Kirby, there's a whole passel of monsters from beyond the edge of imagination eager to smash their way into your town. 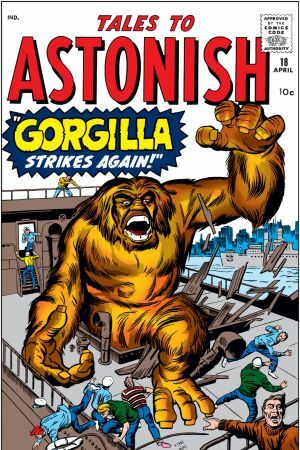 From swamp beasts, terrorizing trees, atomic ants and Gorgilla, the gorilla who'd give King Kong a run for his money. 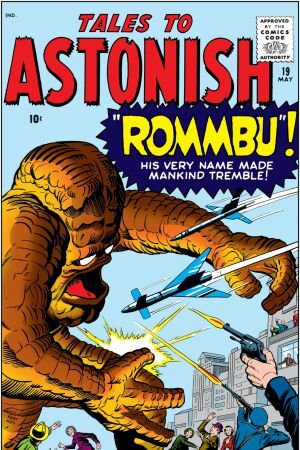 If collateral damage is what your desire, then Groot, Krang, The Blip, Rommbu, Thorr and X, The Thing That Lived, are your best friends and your insurance agent's worst nightmare. 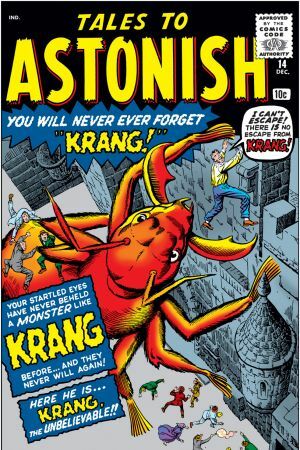 While Kirby tested the tensile strength of newsprint, Steve Ditko challenged readers to look through the pages of comic books and into new dimensions. 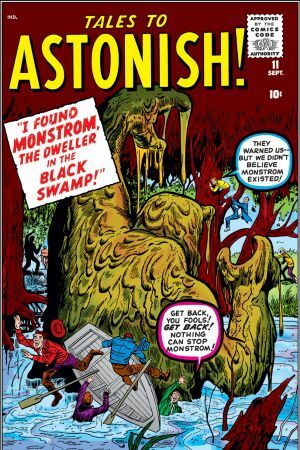 His parables of suspense and wrenching psychological tension will leave you curled up and screaming for more - whether you like it or not! 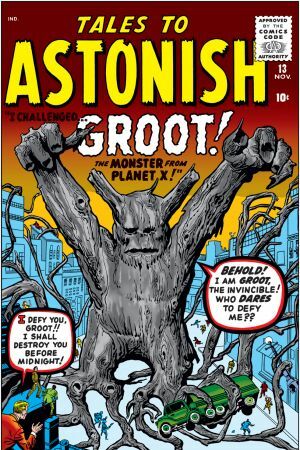 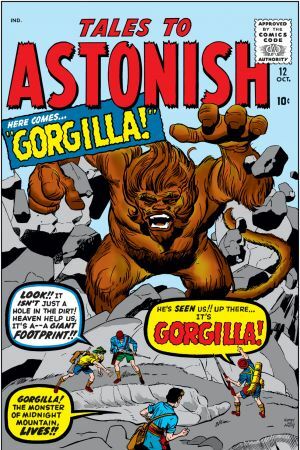 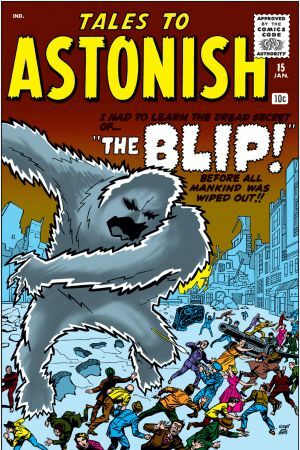 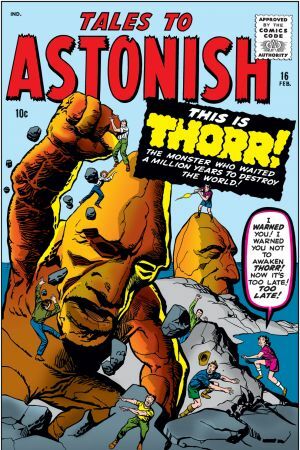 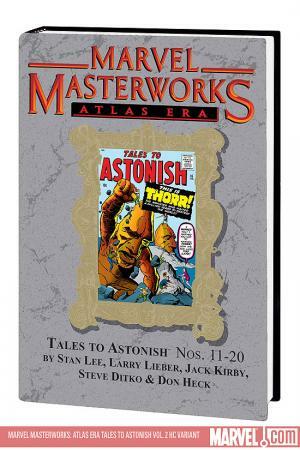 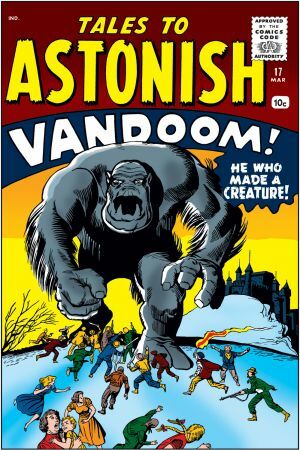 Collecting TALES TO ASTONISH #11-20.